Sick of overpaying for subpar mass gainers? Learn how to make your own. To be honest, I have yet to find a quality mass gainer on the market. The problem with most mass gainers is that they are loaded with cheap sugars as a carb source. Not only can this lead to greater fat gain, it can make drinking them several times a day unhealthy. Of course, many supplement companies try to trick the consumer by using ingredients like maltodextrin instead. While maltodextrin is technically a complex carb, it breaks apart very rapidly in the body and spikes blood sugar and insulin levels even faster and higher than sugar does. This allows manufacturers to list less sugar—or even no sugar—on the product label. The unsuspecting consumer has no idea that the carbs in that product are sugar in disguise. 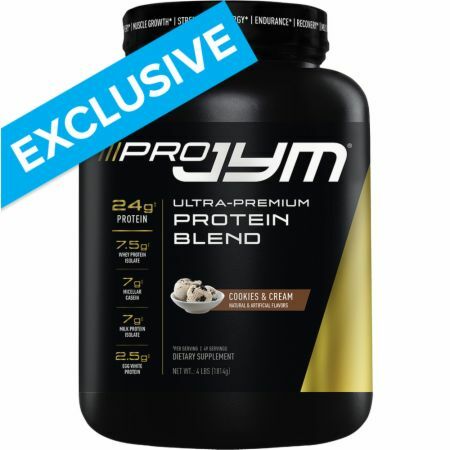 A mass gainer is not some magical formula that will build muscle better than a regular protein blend. A mass gainer is designed for people who cannot eat enough calories, protein, carbs, and fat to build adequate muscle. This is typically teenage males and males in their early 20s. Instead of buying jugs of product that promise to free you from your ectomorphic ways, I recommend that you make your own with the recipe below. For those of you who are truly hardgainers, and can't gain an ounce no matter how much you eat, this homemade mass gainer is just for you. Drink this mass gainer with breakfast, around workouts (consider making it before workouts and sipping on it before, during and after workouts like I do in this video), and before bed. Having three of these shakes per day will add more than 2,800 calories, 225 grams of protein, 270 grams of carbs, and 90 grams of fat to your daily totals. That should be enough to put some size on the hardest of hardgainers!